The current model is ancient, but we still dig it. 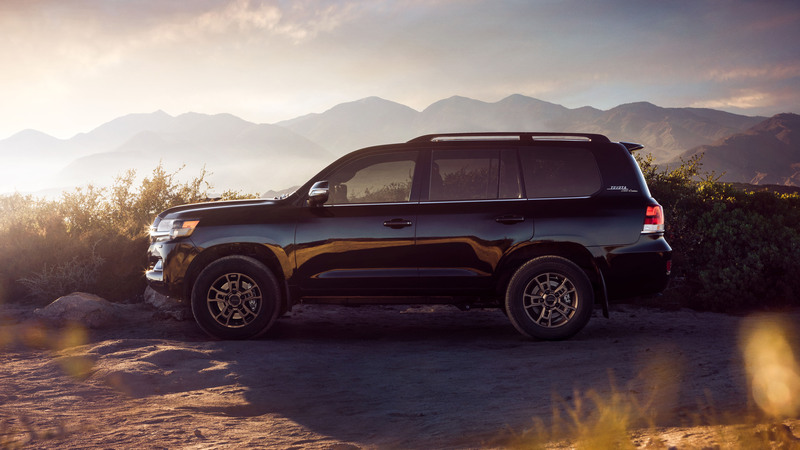 Toyota just released information on a special version of its full-size Land Cruiser SUV intended to celebrate the nameplate’s long and illustrious history. 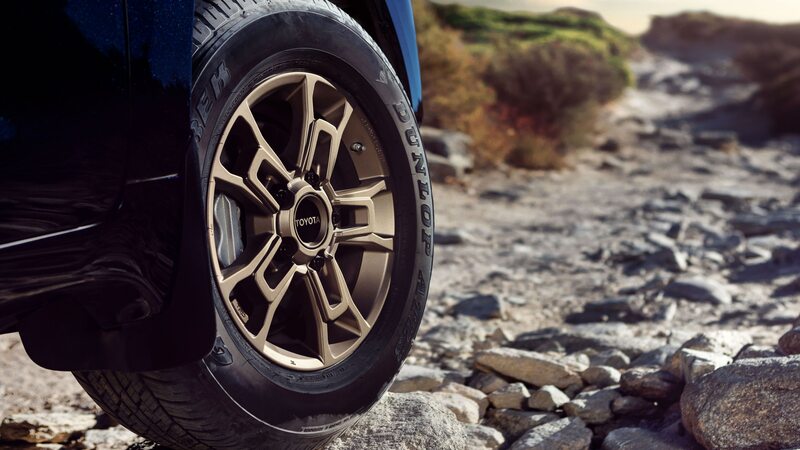 Featuring bronze accents inside and out, as well as a few other aesthetic upgrades, the 2020 Toyota Land Cruiser Heritage Edition goes on sale this summer. 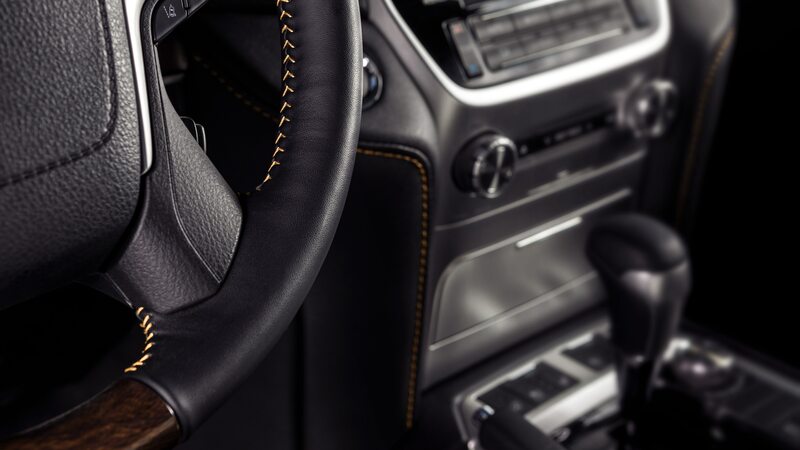 The model gets bronze-colored 18-inch wheels, while the color is also used for the stitching applied to the steering wheel, door panels, center stack, console, and seats. 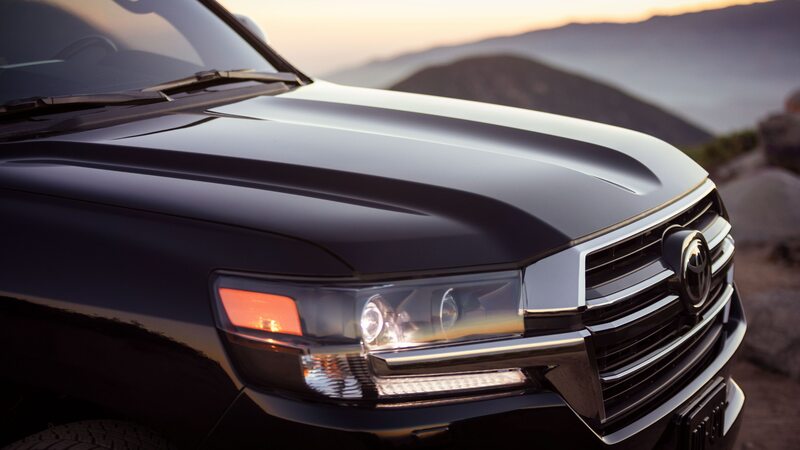 Other changes include darkened head- and fog lamp surrounds and side mirrors with dark chrome detailing, as well as the deletion of the normal Cruiser’s running boards and chrome lower body-side moldings. 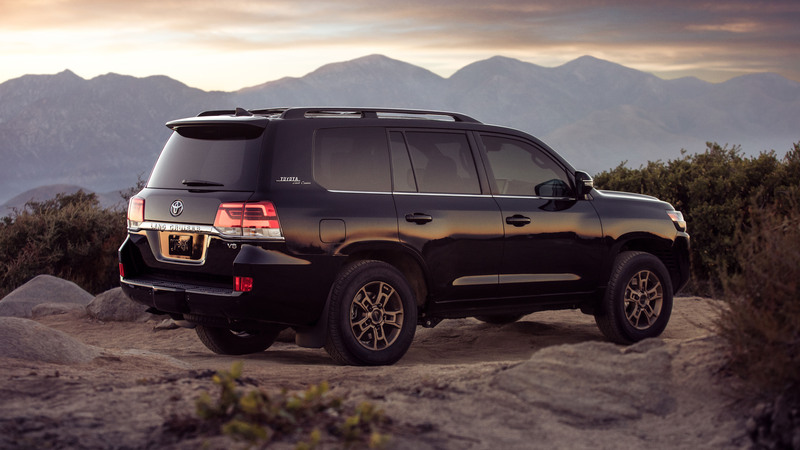 Finally, there are black grille accents, a special vintage Land Cruiser badge on the D-pillar, and a choice of two exterior paint colors, Midnight Black Metallic or Blizzard Pearl. 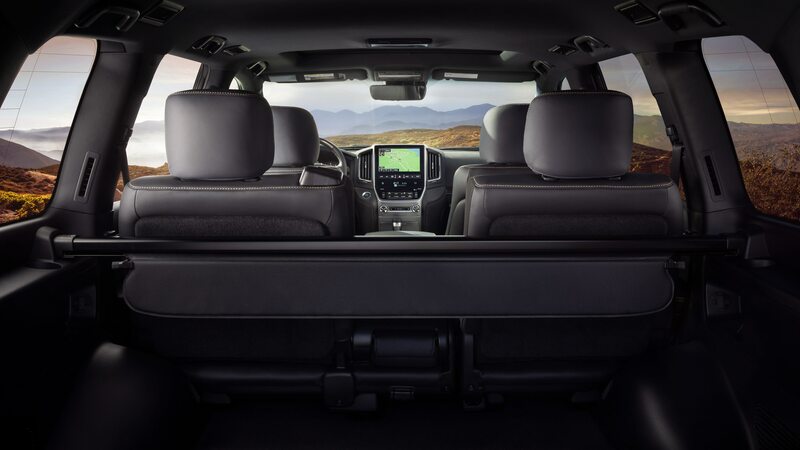 The third-row seating is also tossed, which at least increases cargo room while decreasing maximum occupancy from eight to five. 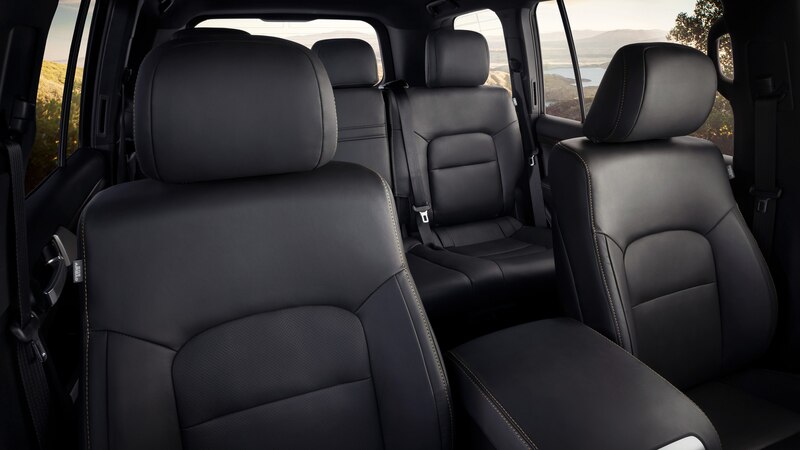 The interior gets standard all-weather floor mats and a cargo liner, as well as ventilated front seats, four-zone automatic climate control with 28 (!) air vents, and a power sunroof. The Heritage Edition also doesn’t have the center-console cooler box up front to increase storage options. 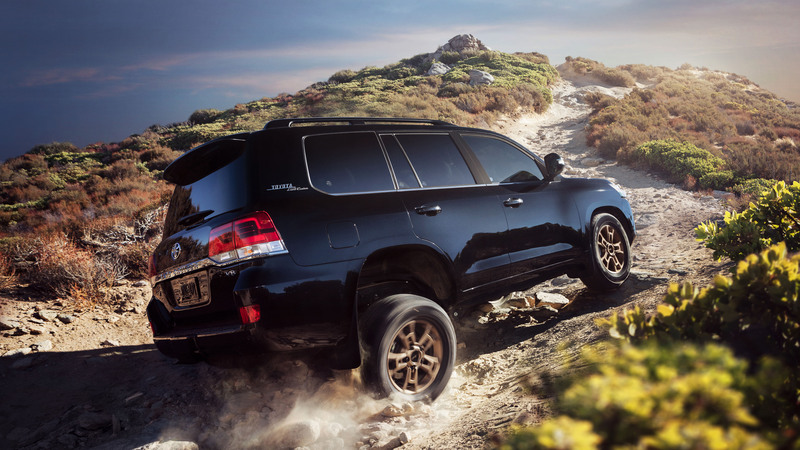 Like all Land Cruisers, the special edition packs a 5.7-liter V-8 good for 381 horsepower and 401 lb-ft of torque. This engine comes paired to an eight-speed automatic transmission. Toyota will sell 1,200 copies of the Heritage Edition at an as-yet undisclosed price, although they’ll likely command some sort of premium over the roughly $85K asked for the basic model. 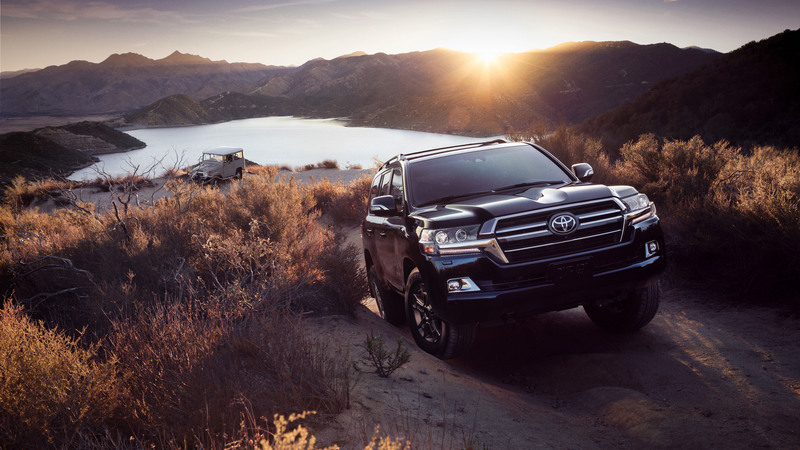 The limited-edition truck will make its first public appearance at the Chicago auto show in February to celebrate more than six decades of the nameplate in the U.S. Refreshed for 2016 but based on an architecture first introduced in 2008, the current Land Cruiser is still extremely capable, but it’s getting up there in age. 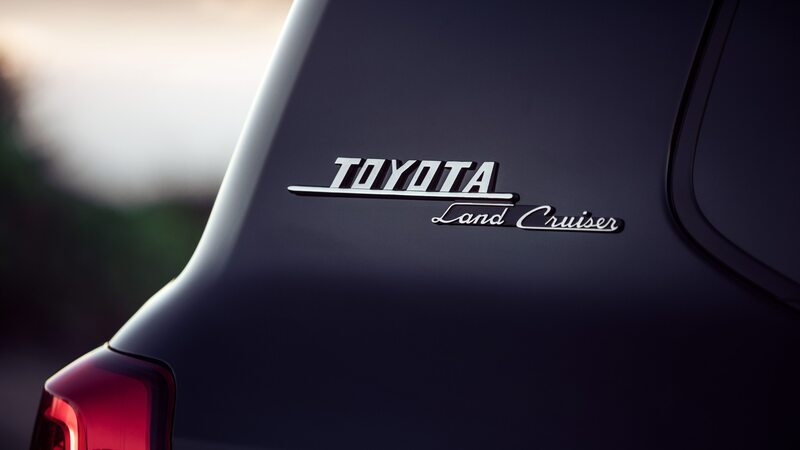 While we still really like the Land Cruiser—in terms of its mission, it was for years one of the better Toyotas to drive—perhaps the next Land Cruiser news we get will relate to a new generation.